The light-lifter in Arianespace’s family of launch vehicles jumped off its launch pad at 1:42 UTC on Wednesday, turning straight north to lift the 1,110-Kilogram Mohammed VI-A satellite into a Sun Synchronous Orbit as the first in a two-satellite constellation. The 30-meter tall Vega fired its three solid-fueled stages in just six minutes before the AVUM upper stage assumed control for a two-burn mission profile. 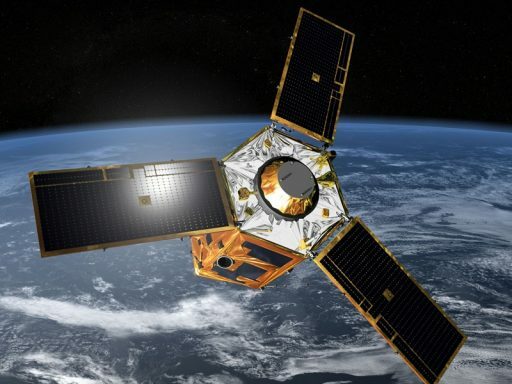 Although orbital parameters were withheld given the partial military nature of the mission, Arianespace confirmed the satellite was deployed into the target orbit 55 minutes after taking off from the Guiana Space Center. 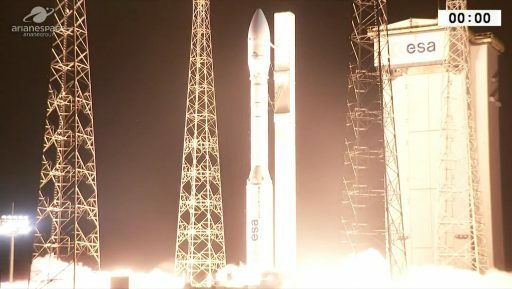 Tuesday night’s launch was the tenth Arianespace mission of the year, coming after two rare Soyuz missions to Geostationary Transfer Orbit, five dual-payload deliveries by the heavy-lift Ariane 5 rocket and a pair of Vega missions, also carrying Earth observation and reconnaissance satellites into Sun Synchronous Orbits. 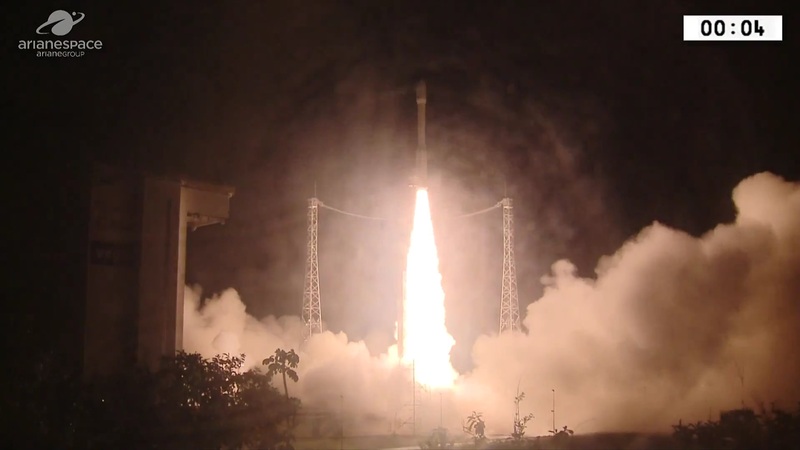 It was the penultimate launch from French Guiana planned this year with another Ariane 5 on the books, targeting a December 12 liftoff with the next four satellites joining Europe’s Galileo navigation constellation. 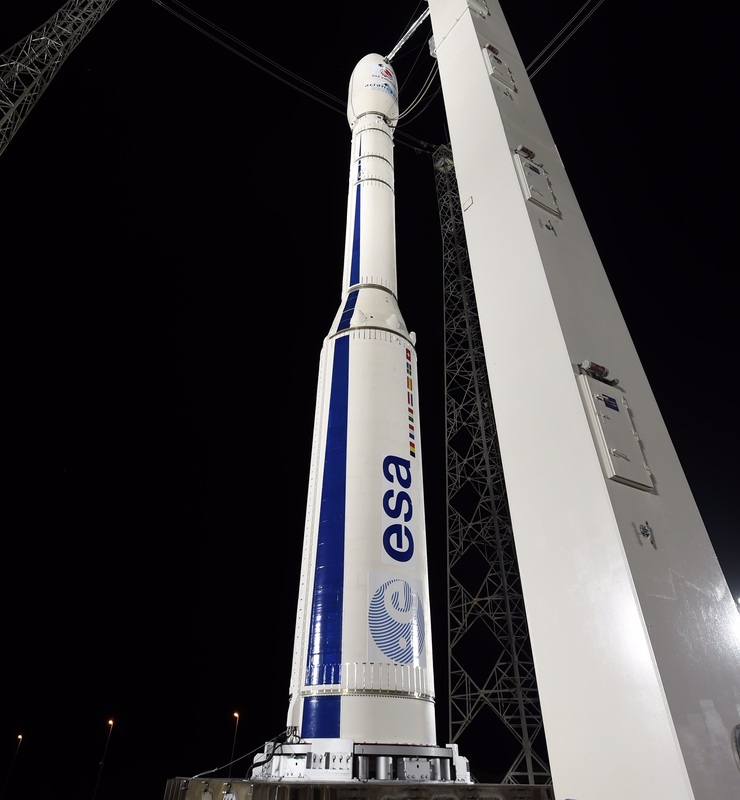 The Vega VV11 mission became up for grabs on fairly short notice after ESA’s ADM-Aeolus experimental wind-profiling mission encountered an initial slip from November to January and then a multi-month delay to mid-2018 – freeing up a Vega launch vehicle for a customer who had a satellite at the ready. Information first emerged in July that a classified passenger had been assigned to the VV11 launch slot. The payload in question was quickly identified as the Moroccan imaging satellite that had shown up under the code name “MN35-13” in various Airbus documents. 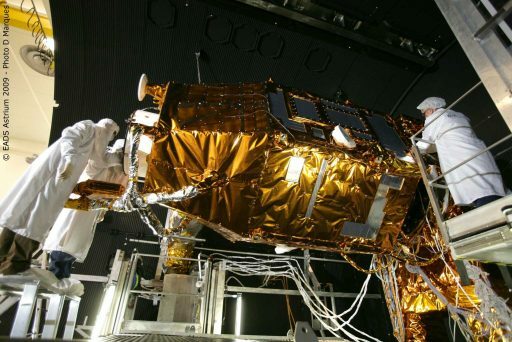 Re-named Mohammed VI-A in the weeks before launch to honor the current Moroccan King, the satellite was ordered by the North African country in 2013 from Airbus Defence and Space and Thales Alenia – working in a collaboration similar to the French Pleiades high-resolution satellites launched in 2011 & 12 as well as the Falcon Eye imaging constellation currently being readied for launch in 2018/19 for operation by the United Arab Emirates. These satellites all share similar platforms and instruments, though the newer models feature performance improvements including better image resolution and streamlined data processing / mission planning architectures. 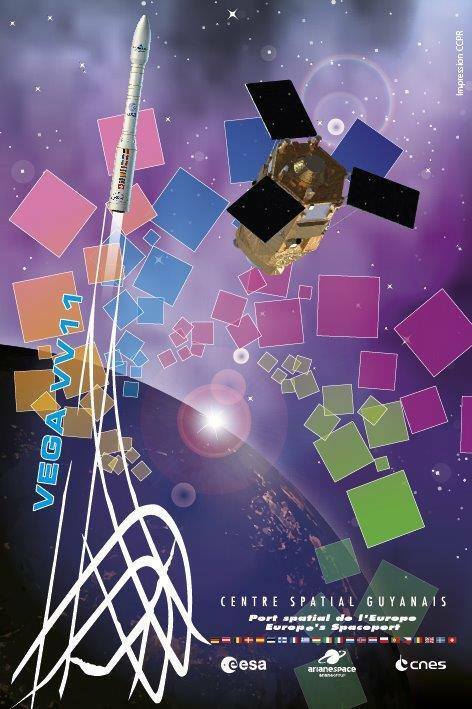 No photos of Mohammed VI-A were released during its preparations flow for Tuesday night’s launch – the only depictions of the spacecraft are available in the Arianespace VV11 mission booklet and the official launch poster issued by the Guiana Space Center. Based on the AstroSat-1000 platform, the satellite hosts a 65-centimeter aperture telescope with advanced line detector arrays, allowing it to achieve a ground resolution better than 70 centimeters for panchromatic black-and-white imagery and better than three meters for color and near infrared imagery. According to official information, the two MN35 satellites will be used for mapping and land surveying, regional development, agricultural and resource monitoring, disaster prevention and mitigation, environmental and desertification monitoring, and border and coastal surveillance. 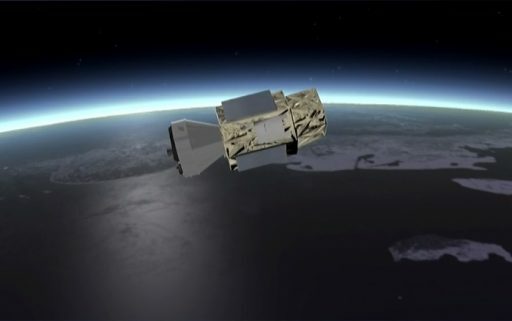 As Morocco’s first optical imaging satellite, the project is closely watched by the country’s neighbors – Algeria in particular as the spacecraft gives Morocco the ability of monitoring activities of the Algerian Army and separatists of the Polisario Front that aim to end Morocco’s presence in disputed territories of Western Sahara. Documentation shows the Mohammed VI-A satellite will be controlled by the Ministry of Defence from a control center in the Moroccan capital Rabat which is also the base for the mission’s primary ground station. 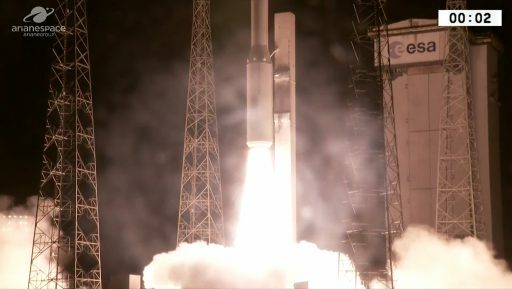 Tuesday night’s mission marked the third flight of the Vega rocket in 2017 – the expected number of annual flights for Vega’s operational career, currently working toward the inauguration of the Vega-C rocket in 2019 to consolidate the Solid Rocket Motors used by the Ariane 6 and Vega programs in an effort to streamline production & reduce cost. 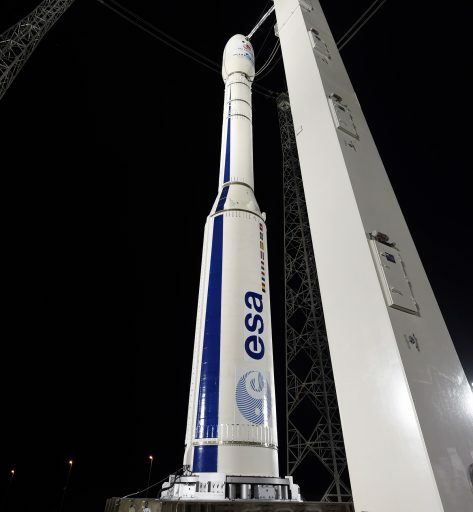 Vega stands 30 meters tall and weighs 137 metric tons, comprising a stack of three solid-fueled stages with an Attitude and Vernier Upper Module (AVUM) sitting atop to give the vehicle multi-orbit and precise injection capability via multiple re-starts. Vega enjoyed a smooth countdown that picked up nine hours before the night’s instantaneous launch opportunity and was largely focused on checkouts of the rocket’s Multi-Function Unit serving as the primary onboard control system. Revealed atop its pad when the large Mobile Service Gantry retracted to its launch position, Vega entered a final round of radio link checks followed by reconfigurations for the four-minute synchronized sequence. As computers assumed control of the countdown, Vega went through the transfer to internal power, a last check of the guidance system and the handover to onboard control half a minute before launch. Vega fired off the ZLV launch pad at precisely 10:42:31 p.m. local time on Tuesday when the P80 first stage ignited and soared to a peak thrust of 280 metric-ton-force. Departing French Guiana with a thrust to weight ratio greater than two, Vega climbed vertically for only a handful seconds before pitching over onto an ascent path straight north, aiming for a high-inclination orbit. 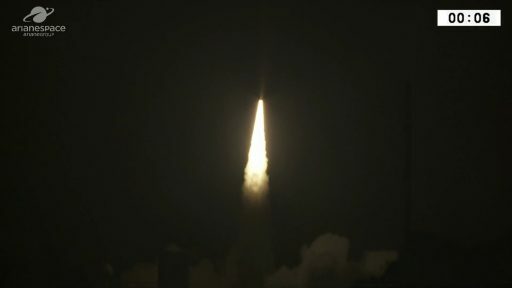 With P80 consuming over 800 Kilograms of solid propellant per second, Vega accelerated beyond the speed of sound just over half a minute after liftoff and passed the area of Maximum Aerodynamic Pressure when crossing 13 Kilometers in altitude at T+53 seconds. Consuming the last of its 88-metric-ton propellant load, P80 burned out 115 seconds into flight after boosting the rocket to a speed of around 1.7 Kilometers per second. One minute and 57 seconds into the flight, the P80 was jettisoned and the 11.2-meter long Zefiro-23 fired up its solid rocket motor to continue pushing Vega toward space with a thrust of 122 metric-ton-force. Consuming 24 metric tons of packed propellant, the second stage was to accelerate Vega to nearly 4 Kilometers per second and lift it to an altitude of 150 Kilometers. The second stage dropped away three minutes and 40 seconds after launch, followed 12 seconds later by ignition of the Zefiro-9, the last of Vega’s solid-fueled stages. Burning 10 metric tons of propellants over 110 seconds, the 4.1-meter third stage increased the vehicle’s speed to 7.5 Kilometers per second – placing it on a sub-orbital arc. Five seconds into operation of the third stage, Vega split open and jettisoned its two payload fairing halves, revealing the Mohammed VI-A satellite for the rest of its trip into orbit as aerodynamic forces were no longer a factor. As the Z9 stage burned out, Vega held onto the stage for another 50 seconds to allow residual thrust to fully tail off and so avoid re-contact between the spent stage and the upper stage. 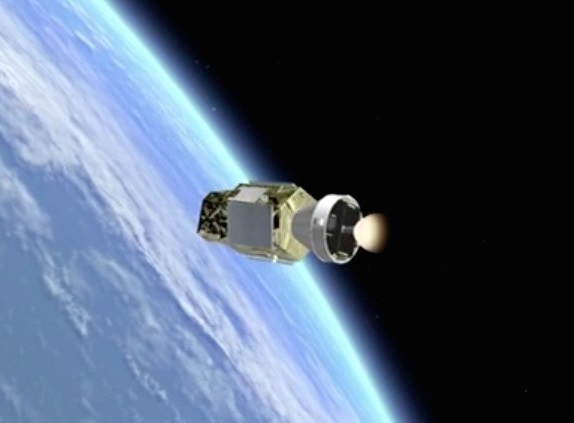 AVUM separated six minutes and 34 seconds after launch to assume control of the flight for a pair of main engine burns to inject Mohammed VI-A into a nearly circular orbit. The upper stage began its operation with an attitude stabilization and a propellant settling maneuver during a minute and a half of coasting before firing up its Main Engine Assembly, built around a Ukrainian RD-869 main engine, at the T+7-minute mark. AVUM, loaded with 577 Kilograms of propellant, can support extended missions with up to five re-starts of its engine to deliver payloads into a variety of orbits at high injection accuracy. Generating 250 Kilogram-force of thrust, AVUM’s first task was lifting Mohammed VI-A into an elliptical parking orbit by firing its engine for seven minutes and 45 seconds. The upper stage was also programmed to dynamically adjust its flight profile in order to correct any errors occurring on the lower stages. Arriving in an elliptical Parking Orbit, AVUM entered a passive coast of 36 minutes to climb to the high point of the orbit so that the second burn could serve as circularization maneuver. Re-start of the main engine was confirmed 52 minutes after launch and the upper stage burned for one minute and 51 seconds to reach the planned orbit around 630 Kilometers in altitude. Loaded springs pushed the Mohammed VI-A satellite away from AVUM 55 minutes and 33 seconds after launch, setting sail on a ten-year mission supplying Morocco with dual-purpose monitoring and surveillance data. Arianespace confirmed that – based on telemetry data from the vehicle – Mohammed VI-A was deployed into the planned Sun-Synchronous Orbit, marking the company’s tenth success of the year and leaving Vega with a clean 11/11 record. Next for the satellite is a multi-week commissioning campaign beginning with first signal acquisition shortly after launch followed by detailed systems checks, orbital fine-tuning and preparations of the high-resolution imaging payload for regular mission operations starting when the satellite is turned over to its operator from prime contractor Airbus. For the AVUM upper stage, the last order of business is a 78-second deorbit burn 107 minutes after launch to transition the stage back onto a sub-orbital arc for disposal via destructive re-entry.